When you create the outline of your business plan, you need to factor in products, services and necessities that are not part of everyday operations. While you won’t need them daily, when you do need them, the expenses could be great if you haven’t set aside funds or secured a special plan. Here are four things you should definitely budget into your business plan. One of the most important things you need in your business plan is money for insurance premiums. Most businesses need two or three different types of coverage. The first is workers’ compensation, which benefits workers who obtain injuries while performing their work duties. The other type of insurance you need for your business is liability insurance. Liability insurance can help you in cases where customers slip and fall inside your establishment and other similar situations. This special insurance policy can help cover the hospital bills the injured party has to pay. It may also cover some of the court costs you may have to pay, should the injured take you to court. The lawyer retainer is something else you will need for the sake of your business. Perhaps someone tries to sue your business, or maybe an employee steals from you. Whatever the reason, you’ll want access to a lawyer who can start defending you ASAP. The only way to ensure that is to have the fees ready. You should store away a few thousand dollars so that you can secure a civil, business or criminal attorney – whatever you need at the time. The fees may be more or less than that, but a few thousand will create a decent foundation for you to build upon. A payroll discrepancy fund is something you can put together just in case you have a mass issue with payroll. Software glitches, computer crashes and human errors could cause payroll to go awry. By having a payroll discrepancy fund on hand, however, you can make sure your employees are happy, because they’ll still get paid despite the issue. Finally, the cash cushion fund is something you want to gather if you are starting a brand new business. The first two years of any business are the most questionable. Therefore, you’ll want to create a cash cushion. You can open a business savings account that has a high-interest yield so that you can store this money until you need it. Hopefully, the business goes well, so you won’t need it at all, but if you do, you’ll be glad you set it aside. These are just a few of the financial elements you need for your business. 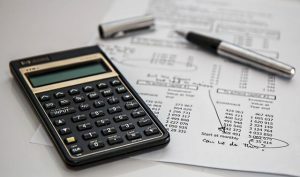 There are many more things to budget into business plans, but these give you a place to start. While creating your business outline, additional ideas are sure to come to mind as well, so don’t forget to include those. Hey, this is very useful article. I got some new information by reading this article. Thanks for sharing this post.